There are two basic types of fiber optic receivers. The first type is digital and the other type is analog. 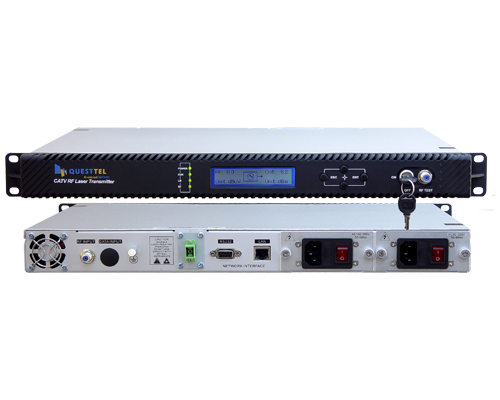 What digital fiber optic receivers do? 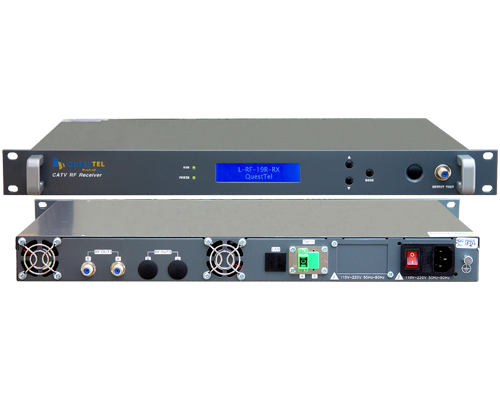 Digital receivers detect the input optical signal coming through an optical fiber, do the amplification of digital photo current, then reshape the signal to produce an undistorted output electrical signal. On the other hand, analog optical receivers detect the input optical signal and amplify the generated photo current. For many digital transmission applications, the digital fiber optic receivers have almost similar designs. of For low-data-rate applications, PIN diodes and high impedance amplifiers are generally used. Receiver sensitivities are maximized by using large load resistors in the photo-diode circuit. For moderate-data-rate applications, PIN diodes and either high impedance amplifiers with smaller load resistances or transimpedance amplifiers are used. A PiN diode is one with a wide, doped lightly 'near' intrinsic semiconductor region between a p-type semiconductor and an n-type semiconductor regions. The p-type and n-type regions are typically heavily doped because they are used for ohmic contacts. The wide intrinsic region is in contrast to an ordinary PN diode. This wide region makes the PIN diode an inferior rectifier, but it makes the PIN diode suitable for attenuators, fast switches, photo-detectors, and high voltage power electronics applications. For high-data-rate applications, PINs or Avalanche Photo Diodes are used with trans impedance amplifiers. Avalanche Photo Diodes are rarely used in low to moderate data rate applications unless receivers with extremely low sensitivities are required. 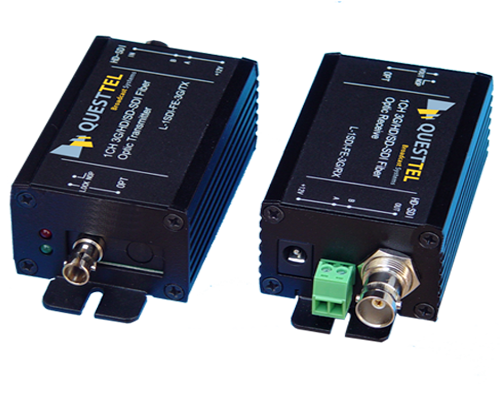 The Optical receiver contains a low pass filter for each digital application. The pass band of the filter depends on the application data rate of the fiber optic network system. The filter is used to smooth the amplified signal to remove some of the high frequency noise before the signal is further processed. The digital receiver generally contains a comparator, which reshapes the amplified electrical signal to remove any distortions introduced in the transmission process. Some receivers come with clock recovery circuitry, which retimes the output electrical signal also. With the exception of absence of digital signal restoration circuitry, analog receivers are similar in design to digital receivers. The pre-amplifiers and post-amplifiers are designed to be more linear than those used in digital receivers in some cases. PIN diodes and high impedance amplifiers are used for low-frequency applications. PIN diodes and either high impedance amplifiers or trans-impedance amplifiers are used for moderate-frequency applications. PINs or APDs are used with trans-impedance amplifiers for high-frequency applications. For analog receivers also same as in digital applications, Avalanche Photo Diodes are rarely used in low or moderate frequency applications unless receivers with extremely low sensitivities are needed.